The World-wide Education Service (WES) was founded as the PNEU (Parents National Educational Union) by the educationalist, Charlotte Mason (1 January 1842 – 16 January 1923), who believed in parents playing an active part in their children’s education. Her revolutionary methods led to a shift from utilitarian education to the education of a child upon living ideas. She was inspired by the then current brain research and by the writings of John Amos Comenius, Matthew Arnold and John Ruskin. 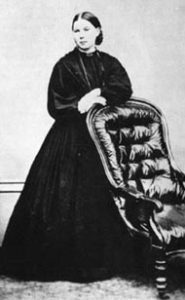 Charlotte Mason’s methods are nowadays used widely within the homeschool community.